We recently used a Spectrophotometer to measure the transmission spectra of the blue and amber filters used in our transilluminators. 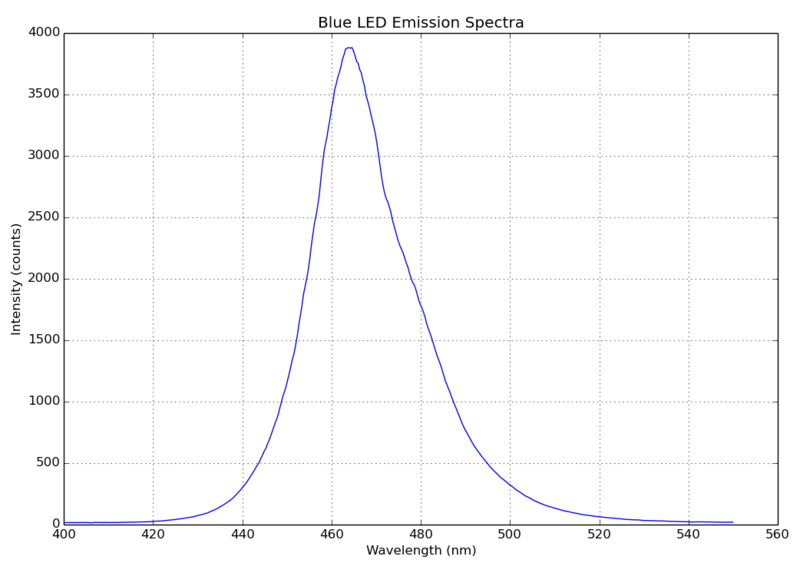 In addition we also measured the emission spectra of our blue LED transilluminators with the filters in place. 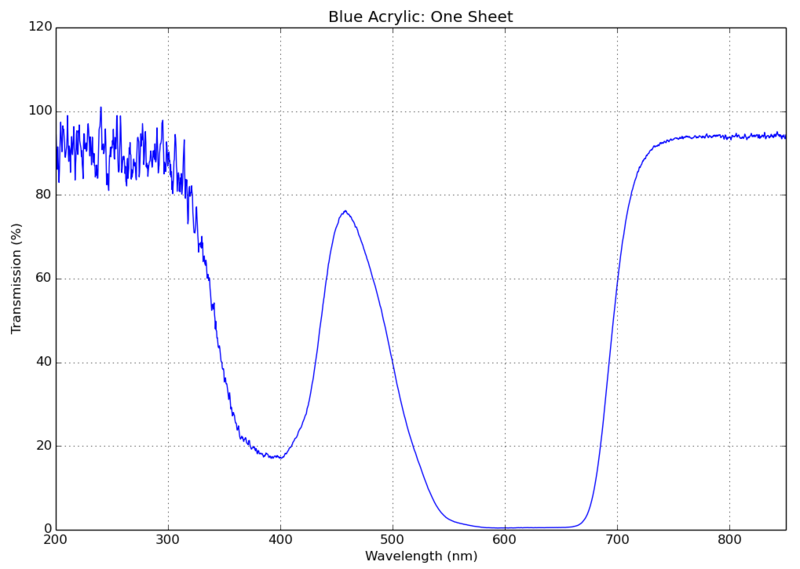 We used the Ocean Optics USB2000 spectrophotometer for the measurements shown below. The blue filter used in the transilluminator is Blue Acrylic # 2424. 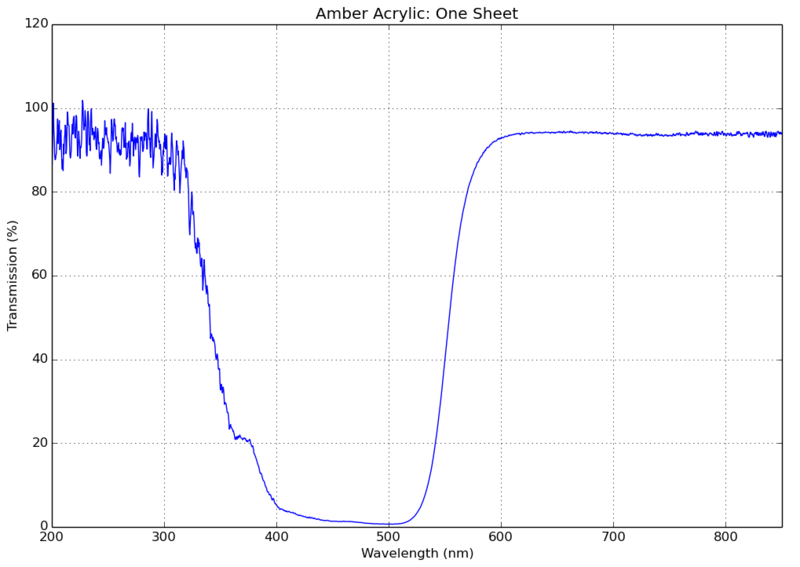 The amber filter used in the transilluminator is Amber Acrylic # 2422. The 470 nm LED used in our blue LED array boards is the Ovtai Optoelectronics through-hole LED part # 552-BC. This is a superbright 1470 mcd LED with a 140 degree viewing angle with peak wavelength @ 462 nm, dominant wavelength @ 465 nm. 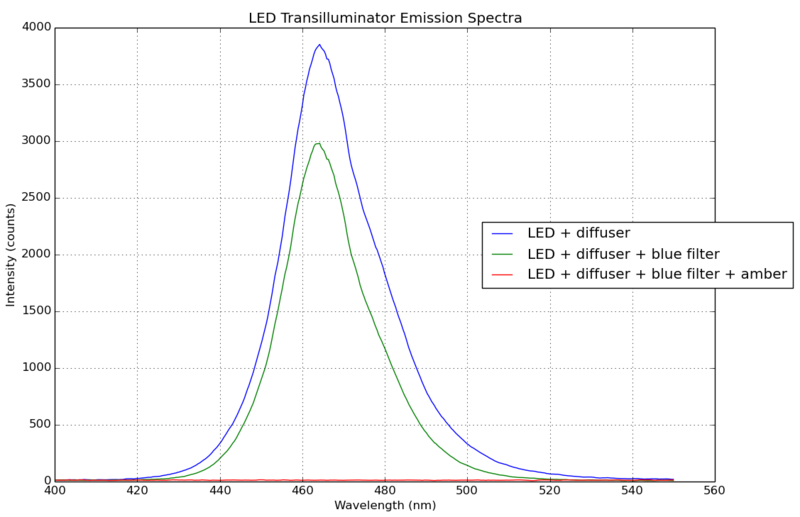 We then compared the effects of the diffuser, blue filter and amber filter on the emission as shown in the image below.